With so much going on in your child’s life it can be difficult to keep up, but it’s important to make sure they can see the world in front of them as clearly as possible. LASIK is popular because it is a quick procedure with a high success rate. The surgery takes about 10 minutes and only requires local anesthesia in the form of eye drops. When choosing contacts, we'll go over your options to decide the best type of lenses for your eyes, especially if you have any conditions that don’t make you a good candidate for regular contact lenses. Quality eye care and personal attention are our focus at Geiger Eye Care. We are a family optometry practice that prides itself on the individual care and attention that we provide all of our patients. 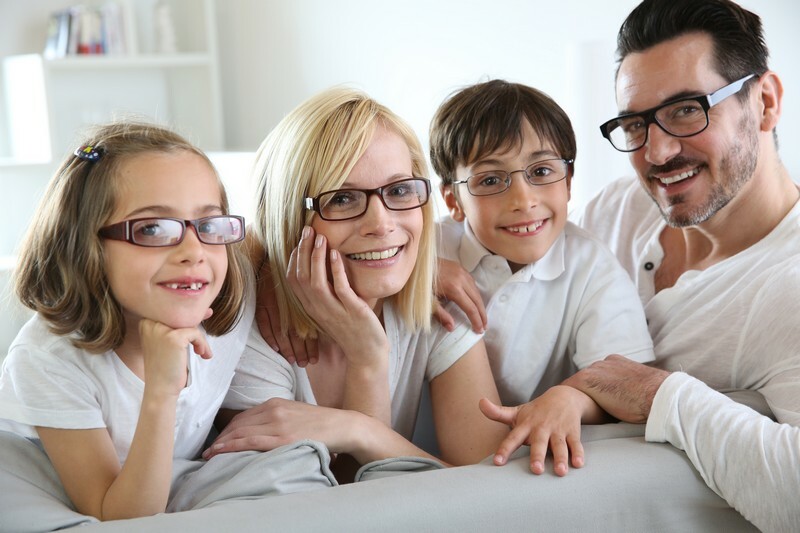 Your entire family is welcome at Geiger Eye Care. We are located in Southwest, OK. We have practices in Altus, Elgin, and Frederick. Our specialties include pediatric exams, contact lens fitting (including specialty contacts), and LASIK consultations. We accept most insurances including Medicare, VSP, Eyemed, PVCS and Medicaid. We also provide care for a multitude of eye conditions including glaucoma, diabetes, cataracts, and macular degeneration. Our goal is to provide each and every patient with the highest quality of eye care available and to provide each patient the greatest service and kindness possible. We invite you to visit our beautiful frame dispensary and choose from the latest in fashionable eye wear. We carry both affordable and high-end frames such as Oakley, Ray-Ban, Vera Bradley, Tiffany & Co, Jimmy Choo, BMW, Jimmy Crystal New York, Flexon and many more! Please give us a call to schedule an appointment. For your convenience, we also provide an online appointment booking which is available to you 24 hours a day, seven days a week. Very thorough eye exam with super, polite staff. The young lady that helped me choose frames is really good! Such a great friendly staff! I love my new glasses and so happy we have them here in Elgin! Just got finished with a checkup on my prescription, and just general checkup. The staff here is super friendly and helpful and Dr. Bryce is very knowledgeable and easy to talk to, I’ll be coming back! The office is very nice as well, with a great selection of frames. Great person running their staff! Very friendly, helpful, and knowledgeable.